ClipsOnit is the worldwide best-selling walking cane holder, freeing both your hands so you can perform common tasks with ease. ClipsOnit secures your cane to a belt, pocket or handbag, keeping it close by for when you need it without the concern of having it fall out of your reach. 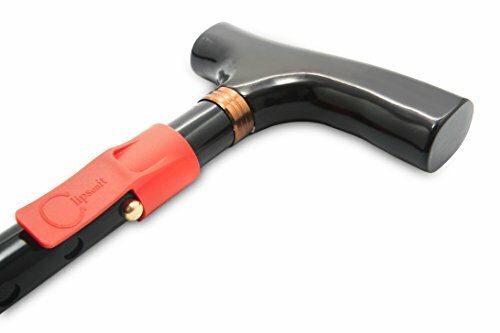 ClipsOnit is not only functional - it is also a stylish accessory for walking cane users. The cane holder comes in several colors and is solidly constructed. Attach it to a belt or pocket whenever needed to free one's hands. If you have any questions about this product by ClipsOnIT, contact us by completing and submitting the form below. If you are looking for a specif part number, please include it with your message.